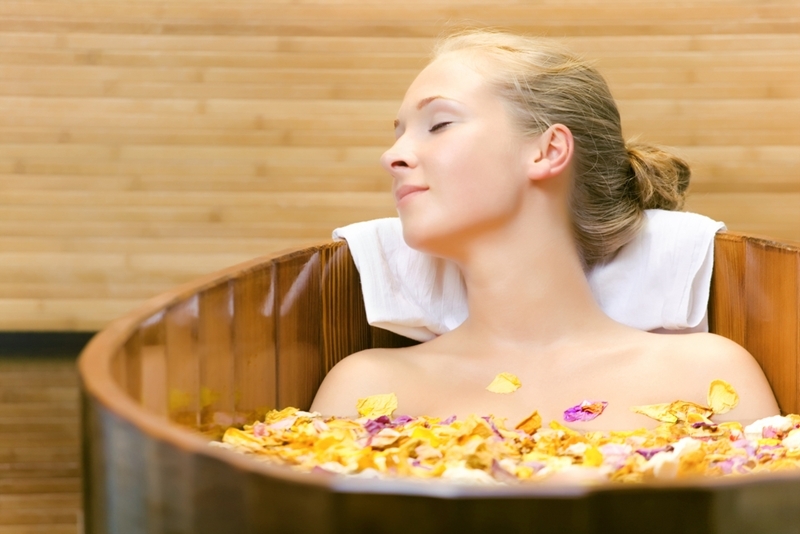 Have you ever thought about installing a wooden bathtub similar to the ancient Japanese? If you haven’t, you’re probably not alone. However, this is one way to incorporate natural elements such as timber into your bathroom to provide that brilliant touch of nature – not to mention a bit of old-world class. 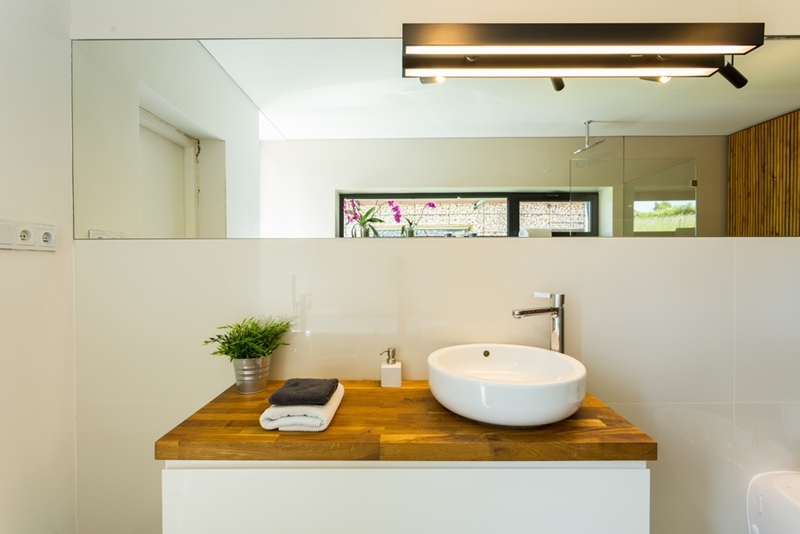 If you’re designing your own bathroom, here are some other timber features to consider. 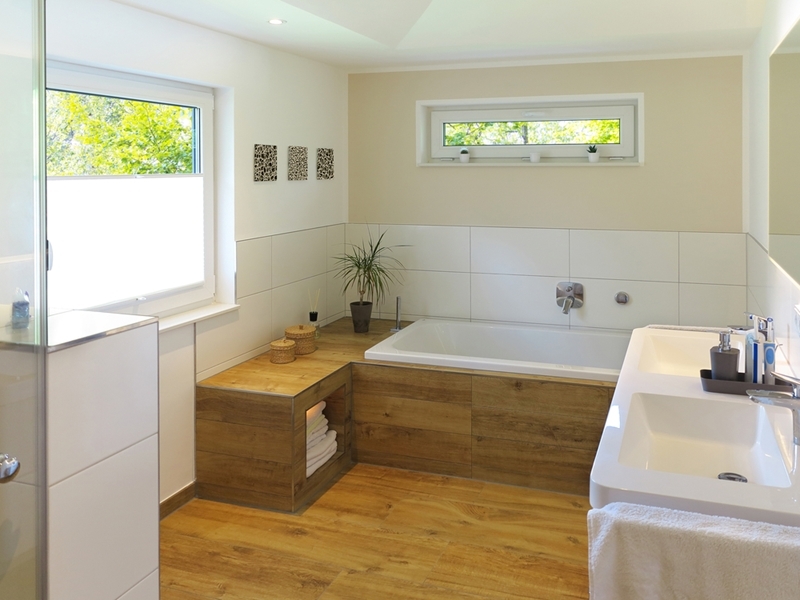 The most common way to add timber to your bathroom is through flooring. Many timber suppliers will have a range of hardwood types and colours to choose from including deep browns, vibrant reds and all manner of combinations of the two. Step into your bathroom on a cold winter’s morning with rich natural colours setting the tone for a calming and relaxing environment. Of course, there are other benefits to timber flooring. It’s easier to clean and more hygienic than tiles and carpets, and is a good medium to add underfloor heating in the future. You can also use timber flooring as your design inspiration for the entire bathroom – tying the natural beauty to other features in the space. Want to add a touch of European style to your bathroom? It’s also possible to use sophisticated timber-looking tiles which give you the look and functionality of regular timber flooring. As the focal point of many bathrooms, countertops can set the tone for the entire space. However, did you know that you could get countertops made from timber? Yes, this design idea might initially sound out of left field, but hear us out! Timber is extremely versatile material that can blend into any style or design – highlighting the value of using it for countertops. Picture a smooth ceramic basin with shiny fixtures, surrounded by a rich, textured wood countertop. The contrast can be striking and offer that point of difference in your bathroom design. Nearly everyone is going for the normal porcelain countertops, so why not be a trendsetter in your design? Get creative by using larger pieces of timber to act as longer countertops or reclaimed timber to support the environment. Bathtubs are a symbol of relaxation and comfort. While the white porcelain bathtub has its place, timber bathtubs can connect your space to the great outdoors. Wooden bathtubs actually date back several centuries with the Japanese using cedar, hinoki and other hardwoods to build traditional deep soaking tubs. This concept was also common on ships thanks to its natural water resistance. In modern Australian bathrooms, a timber bathtub can be the icing on the proverbial cake. Match reds, browns and other colours from nature with your bathtub and feel the environment become warmer and more inviting even on the chilliest of mornings. Wooden tubs are often much larger and deeper than other tubs – enhancing the total soaking experience. Position the tub close to the window so you can relax in the sunlight surrounded by the calming feel of nature – who needs a day spa? Interested in a bathroom redesign? At Bubbles Bathrooms, we can take your bathroom dreams and turn them into reality. From design to build, we’ll work with you closely to ensure the final result is exactly how you envision. For more information about our services, feel free to get in touch with us today.